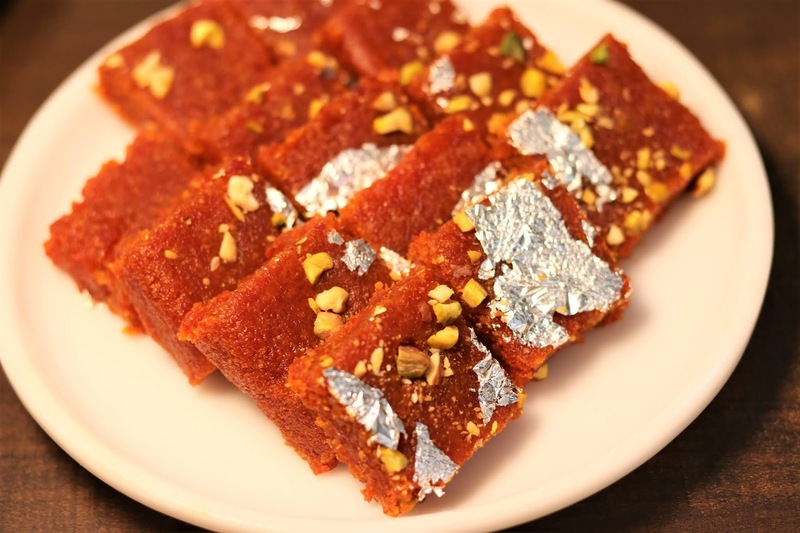 See how to make classic Indian dessert or sweet dish, Carrot barfi or Gajar ki barfi. 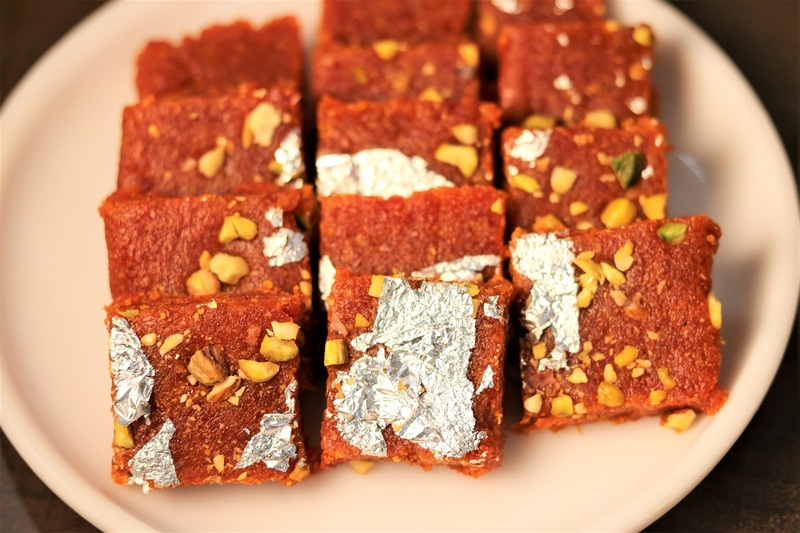 This is a very easy and simple recipe of how to prepare carrot barfi at home just like the readymade market barfi. I have shared a very simple way to prepare carrot burfi without grating the carrots. This gajar barfi tastes even better than market ones so do give it a try and impress everyone at home. 1. Peel and wash the carrots. Chop carrots in chopper or mixer grinder. 2. Melt desi ghee in a kadai or heavy bottomed pan. Add chopped carrots in it and saute for 5-7 min till carrots cook well. 3. Add cardamom powder along with sugar and cook the mixture. Sugar will convert into syrup so the mixture will loose water. cook till moisture evaporates. 4. Then add khoya and cook the mixture collects together and one is able to move the complete mixture in one go. 5. One the carrot mixture dries up and is ready to set, transfer the mixture in a greased plate or tray. Set the mixture properly and even out the surface with back side if spatula or small plate. 6. Leave the mixture at room temperature for 2-3 hours for setting. 7. 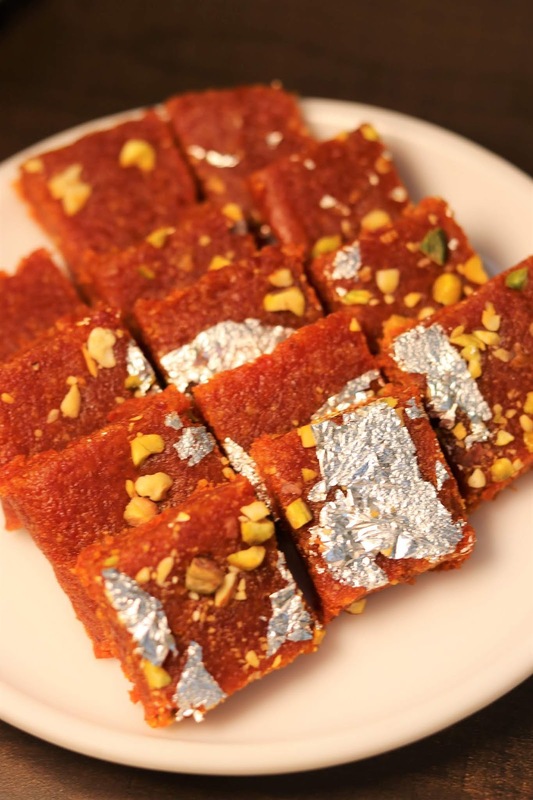 Once set, cut carrot barfi in pieces.